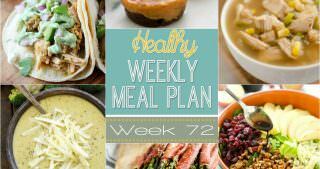 Hey guys, we are back with week 13 of our Healthy Meal Plan! 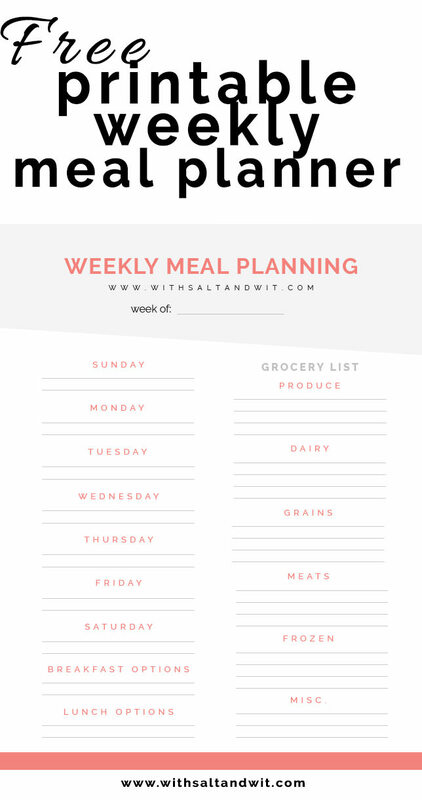 Myself along with 5 other amazing bloggers have come together to make a collaborative meal plan every week to take all the guesswork out of meal planning and saving you the hassle of trying to eat healthy. 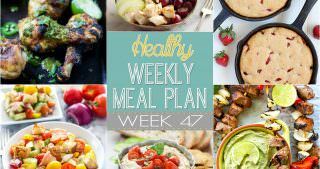 We have put together a full week of yummy and easy entrees that you and your family will love! Personally I can’t wait until Saturday to try out those amazing looking pancakes. Not only will I be enjoying a stack of fluffy pancakes, but it is Halloween! What will you be doing to celebrate the holiday? 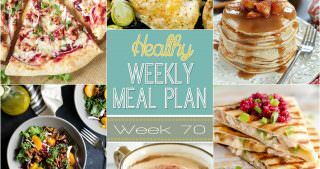 Stop back every Saturday morning to get your weekly meal plan full of daily entrees as well as a breakfast, lunch, snack and dessert! 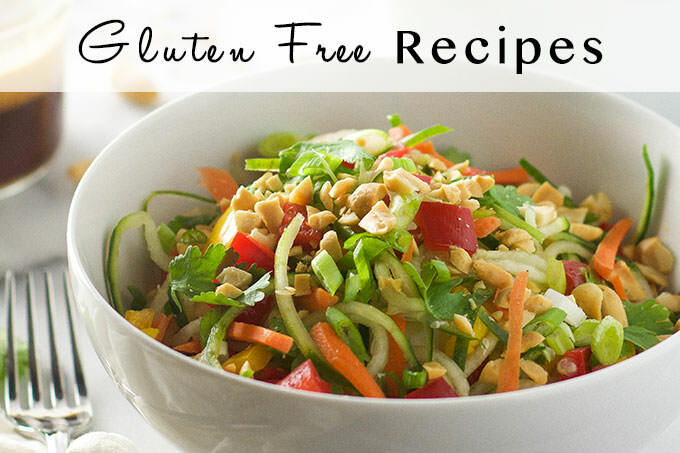 Just click on the photo or recipe name to see the recipe. 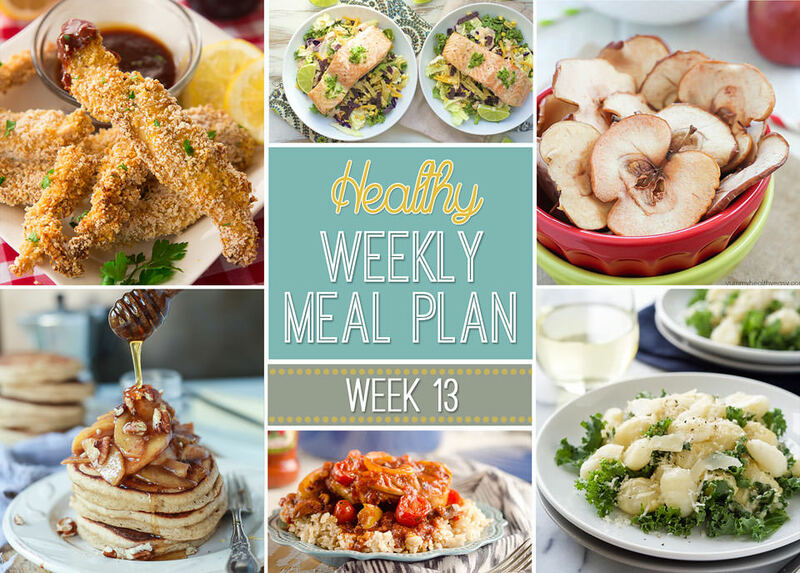 Week 13 is full of healthy comfort food to help you warm up from all this cold weather. Creamy Garlic Parmesan Gnocchi is a comfort dish that is whipped up in only 15 minutes! 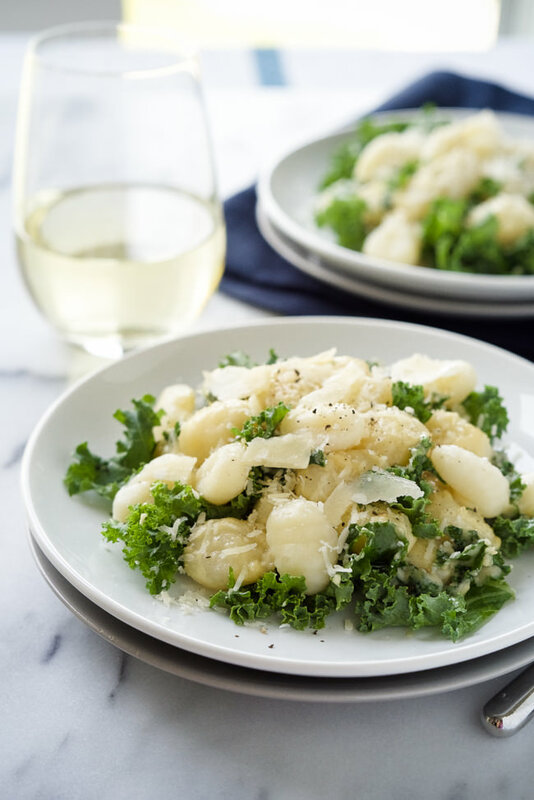 Filled with tender gnocchi and kale, then smothered in a light garlic parmesan sauce! 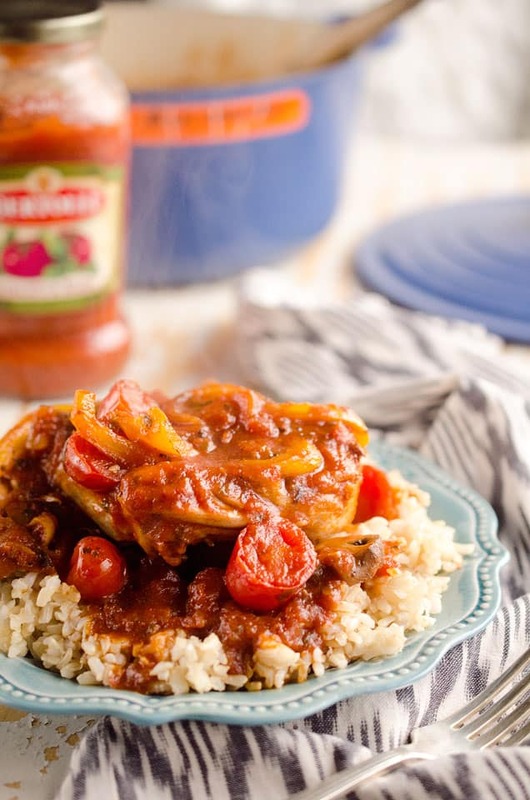 Rustic Italian Chicken Cacciatore is a hearty comfort food, made with tomato sauce, red wine and loads of vegetables. 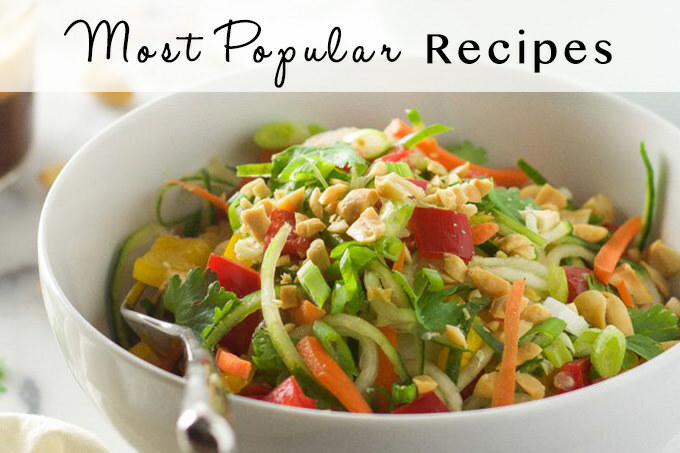 Served over brown rice, it is a dinner the whole family will love and you can feel good about! 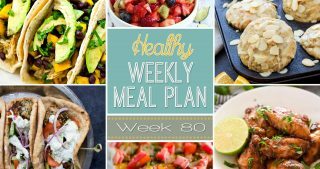 What better way to celebrate the end of the work week than with these Skinny Panko Crusted Chicken Tenders. 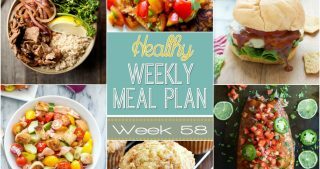 A skinny version of a classic breaded chicken tender, baked not fried and seasoned with rich buttermilk, panko breadcrumbs, and savory ranch topping. For a great night of comfort food, these amazingly crispy and creamy Crispy Parmesan Fries pair perfectly with chicken tenders! 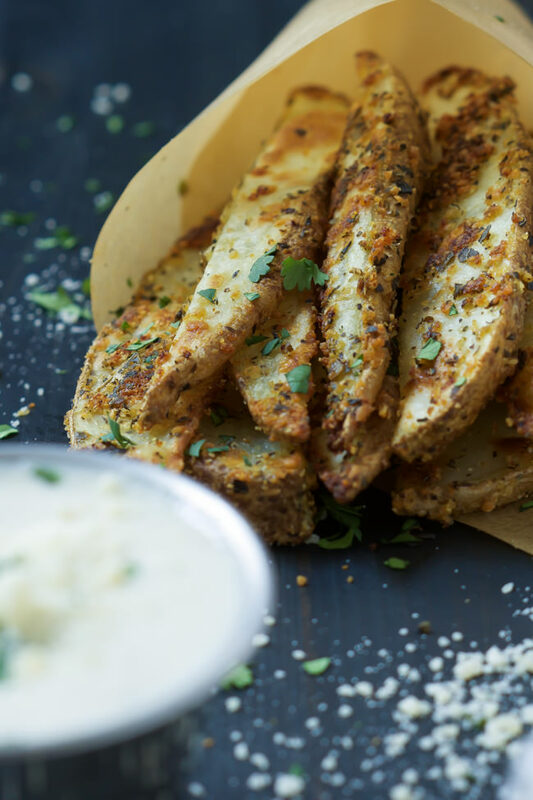 They have a crunchy exterior and a buttery interior and are finished off with a roasted garlic aioli! How easy and delicious does this FOUR ingredient Roasted Salmon with Jalapeno Lime Butter look?! Spinach, garlic and onions mixed with healthy ground turkey and orzo stuffed meatballs all atop a whole grain pizza crust! This Greek Meatball Pizza will spice up any pizza night! 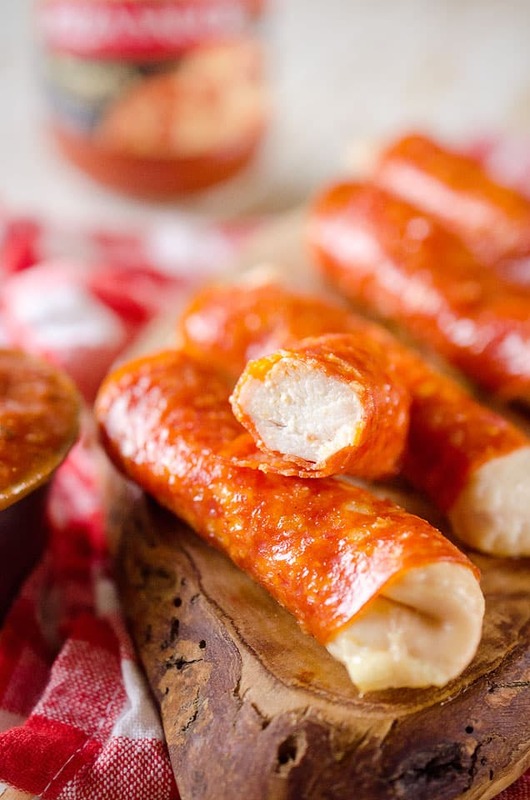 Pepperoni Chicken Fingers with pizza sauce are a healthy and wholesome lunch for both kids and adults. 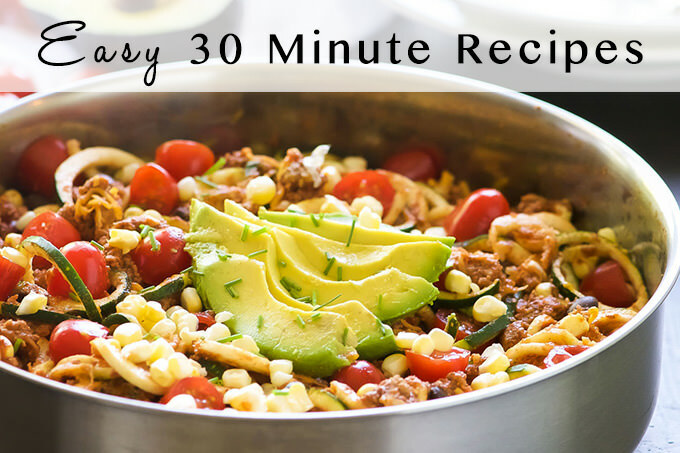 With only 3 ingredients, this easy meal comes together in less than 30 minutes! Happy Halloween! 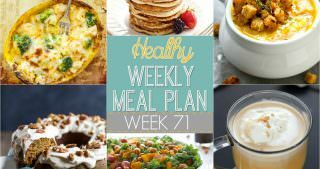 With trick or treaters coming and going, who has time to prepare a hot meal?! Make up this moist Pumpkin Spice Latte Coffee Cake ahead of time for an easy and delicious dinner you can enjoy whenever you have time! 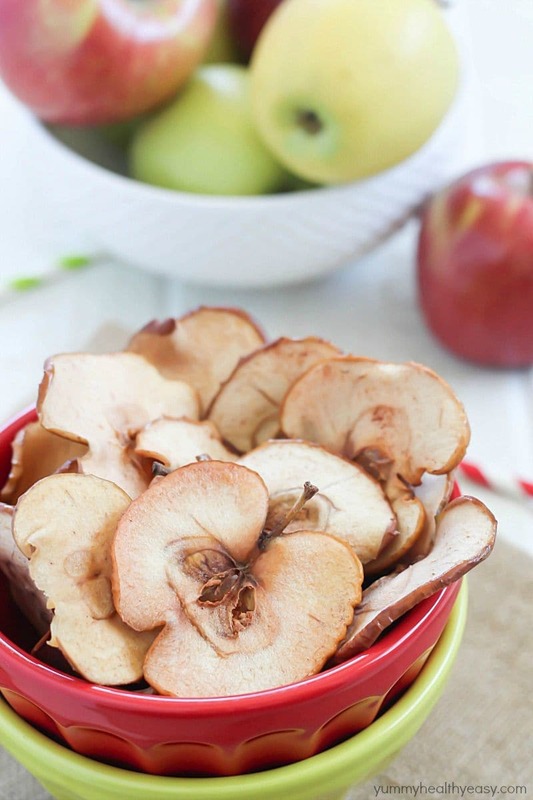 You can’t forget a festive and fun treat to celebrate Halloween! 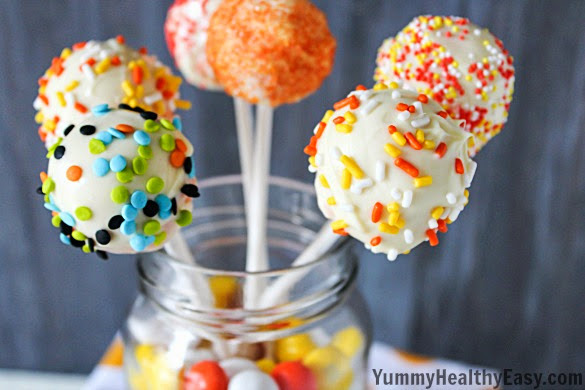 These fun Skinny Orange Soda Halloween Cake Pops are lightened up†by using diet orange soda and cake mix. Theyíre a fun orange color when you bite into them and taste like an orange creamsicle! Fluffy Whole Wheat Pancakes made with a few secret ingredients, top with a Cinnamon Apple Compote thatís made with honey instead of brown sugar for the grand finale! Sunday dinner is made easy and delicious with these Jerk Shrimp and Spicy Sweet Potato Nachos. Whether you are enjoying the game or hanging out with family, who doesn’t love nachos?! That's quite a spread of foods! Lots of good variety in here. Why thank you Lisa! 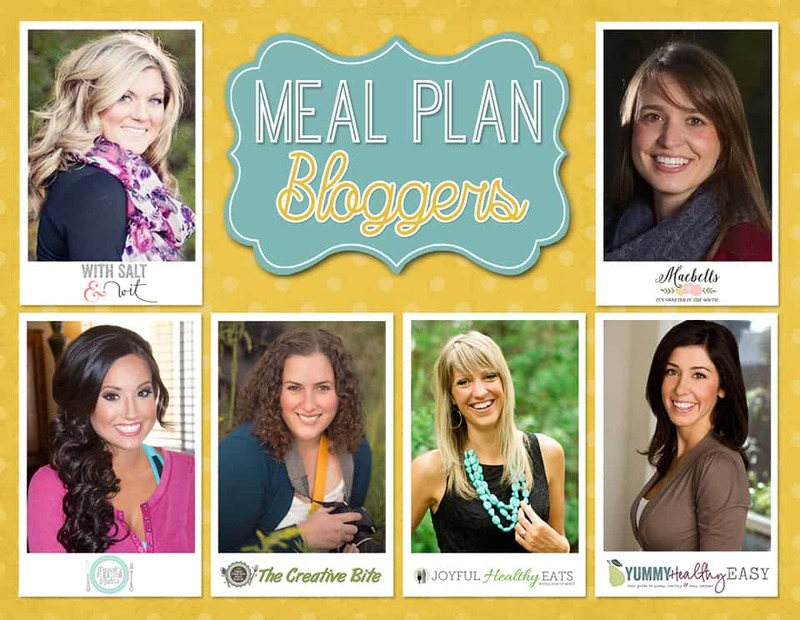 I can't wait to try some of these dishes!